Cecilia Bottecchia was born in Milan, Italy in 1989. In 2014, she received her M.Sc. degree in Chemistry and Pharmaceutical Technologies at the University of Milan. Previously, she conducted her master thesis under the supervision of Prof. A. Madder at Ghent University, Belgium. 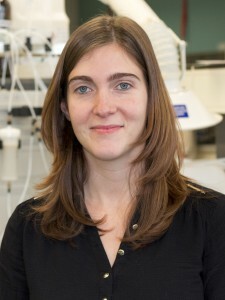 After her undergraduate studies, Cecilia joined the group of Dr. Timothy Noël, where she is currently pursuing her Ph.D. Her research interests focus on biomolecule functionalization via photocatalysis in continuous‐flow.